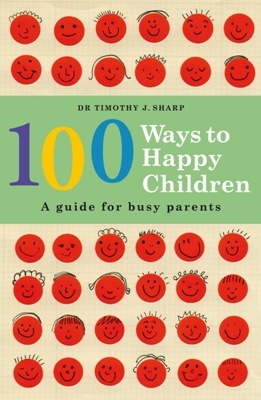 Dr Timothy Sharp completed a BSc (Hons), a Masters degree in Clinical Psychology and a PhD before working for many years as a clinical and academic psychologist. He successfully built his clinical psychology practice, Dr Timothy Sharp & Associates, into Sydney's largest (an achievement for which he was named as a finialist in the Telstra Business Awards). He is also an Adjunct Professor (Positive Psychology) at the UTS School of Business and consults to some of Australia's leading organisations.br /In 2003, Dr Sharp established The Happiness Institute, which is devoted to enhancing happiness in as many individuals, families, schools and organisations as possible by providing coaching and consulting services.br /Dr Sharp has written several self-help books, including the bestselling The Good Sleep Guide (Penguin, 2001) and The Happiness Handbook (Finch, 2005). He appears regularly as a conference speaker and media commentator.